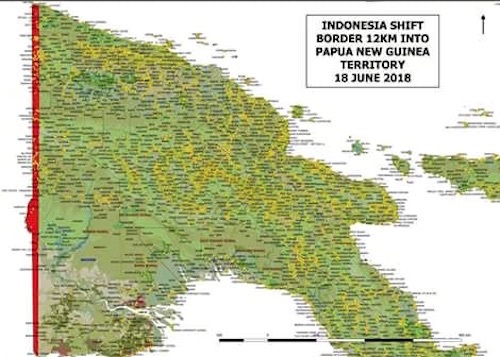 Indonesia is driving towards the Papua New Guinea border because of a recent discovery of huge mineral deposits in the Star Mountain regency just at the back of Tabubil Ok Tedi mine. “Reportedly, there is gold, copper, coal, and thorium – a safer radioactive chemical than uranium,” says president-director of PT Antam Tato Miraza, who was then Director of Development, reports Pusaka. The core of the deposit is, however, found in the disputed area of the border between PNG and Indonesia. Recently, Indonesian troops patrolled to Korkit and surveyed the land just around 40km from Ok Tedi, less than 10km from the border marker in the Korkit village to build another military base. The citizens from Korkit village who are PNG citizens are moving into the new Indonesian village. This is just 20km from the mineral deposit area. Thorium, a weakly radioactive element that can be used as fuel in a nuclear power reactor, has been discovered in the disputed area and this has been the sole driver for Indonesians to force themselves into the disputed territory. Also the “explorers” are actually the military carrying out the exploration. The Indonesians have been transporting mining supplies to the area and the locals are prepared to wage war if the exploration continues under heavy military security. Meanwhile, major improvements in infrastructure and capacity are planned for the PNG-Papua border at Wutung, reports Loop PNG. The improvements are planned as part of the PNG government’s West Sepik Special Economic Zone (SEZ). National Planning Minister Richard Maru and delegates of a fact-finding mission to West Sepik visited the border area last week. Loop PNG also reports that an international bus service and terminal are planned for the Wutung border post. After 16 years of mine waste dumping, both Newmont and Sumitomo sold their ownership stakesin Batu Hijau in November 2016, simply walking away from an environmental disaster of massive proportions. 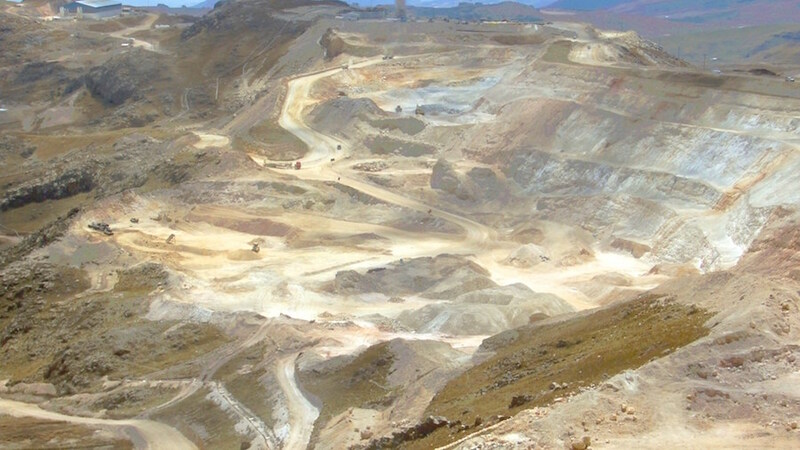 Now Newmont and Sumitomo are teaming up again; this time, at the Yanacocha mine in Cajamarca, Peru. Like Yanacocha, the Batu Hijau mine is also known for the litany of documented environmental harms starting almost at the outset of operations in 2000. Just over one year into operations, a pipeline that transported mine waste from the production site to the ocean broke, dumping tailings into an area of fragile coral reefs. Indonesian environmental group, WALHI, reported reduced fish populations, water pollution, and impacts on local fisheries and livelihoods. 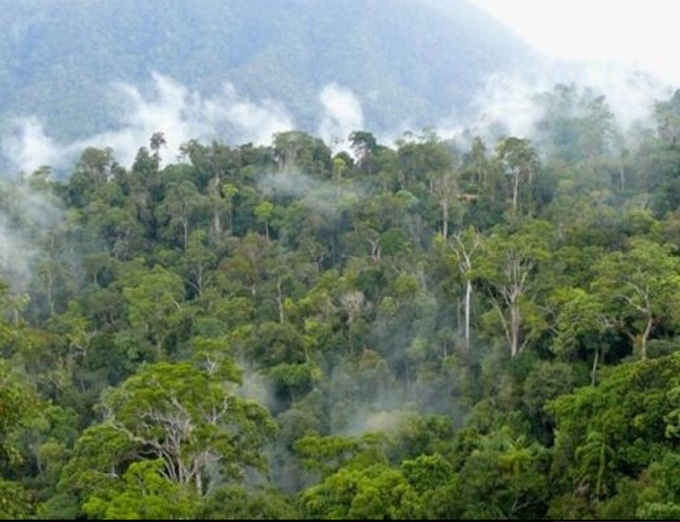 The project has also been criticized for destroying rainforest, protected bird habitat and key biodiversity areas. In May 2011, the local West Sumbawa government appealed to the Indonesian government to not renew the mine’s permit to dump, but they were ignored. That same year, Newmont secured financingfrom a consortium of banks including Goldman Sachs Lending Partners LLC and BNP Paribas SA to expand the polluting mine. 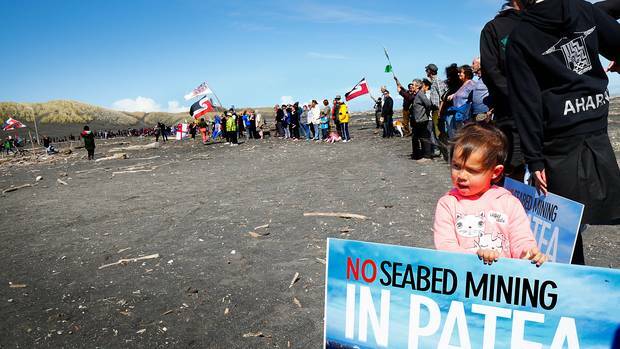 Kataraina Graham, 2, was part of the Ngati Ruanui seabed mining protest at Castlecliff in September 2017. Photo Bevan Conley. Ngā Rauru is taking its concerns about proposed seabed mining in the South Taranaki Bight to the United Nations. Te Kaahui o Rauru board member Te Huia Bill Hamilton will present them to the United Nations’ Expert Mechanism on the Rights of Indigenous Peoples. He heads to Geneva for the five-day conference this month and will be representing the National Iwi Chairs’ Forum. Consent given for the mining breaches International Human Rights Law and marginalises the iwi’s views, he said. 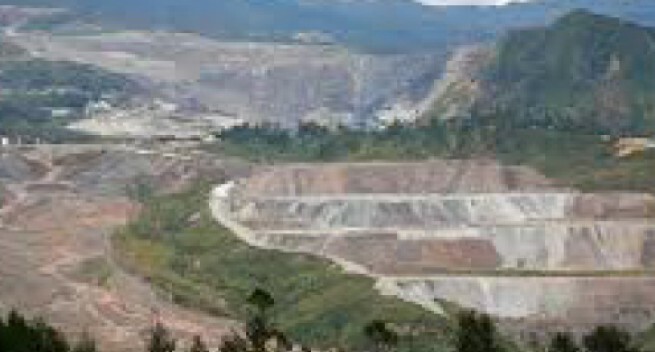 Barrick (Niugini) Limited reported that Porgera gold mine in Enga Province has resumed full operations, and power has been restored to the Porgera community. 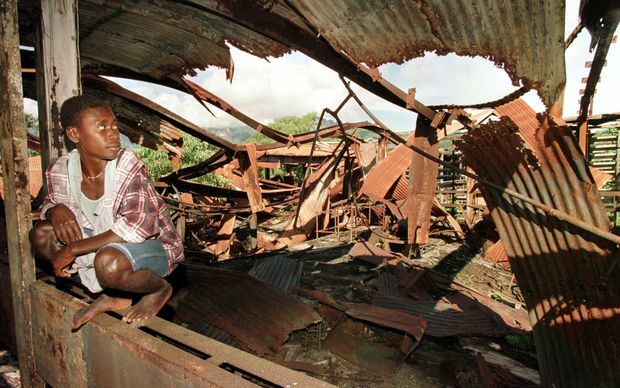 The resumption comes five months ahead of the original estimated repair schedule, following the 7.5 magnitude earthquake on 26 February this year, which caused substantial damage to the company’s power plant in Hides, Hela Province. The plant suffered damage to both buildings and equipment, including the gas turbines, and the main control room which required extensive repairs .The mine had been operating on backup diesel generators with limited processing functions, while the Porgera community had been without power since the earthquake, except for a number of critical service providers that the mine had assisted by donating fuel and generators. Power to the mine was restored on June 1 and the community on June 6. The Hides power plant provides about 70 megawatt of power to the Porgera gold mine and annually about 2MW is supplied to the Porgera valley community free of charge (FOC) at an estimated cost of US$2.5 million (K8.1 million).